On average, the temperature inside a vehicle rises by 19˚ in only 10 minutes. A child can die once his or her core body temperature reaches 107˚ F.
We have all heard the stories or seen the news reports: a child, forgotten in a car, suffers heatstroke and dies. Each instance is a terrible tragedy but, sadly, one which has become predictable. On average, 37 children die each year in the U.S. as a result of pediatric vehicular heatstroke (PVH). In the past 20 years, more than 750 children have died this way. No doubt, many of us hear about these deaths and wonder how a parent could ever forget their child in the car. We imagine only irresponsible, neglectful parents could do such a thing and that it could never happen to us. Reginald McKinnon felt this way until he experienced every parent’s nightmare for himself. On March 8, 2010, he took his daughter, Payton Lyn, to a doctor’s appointment before work, intending to drop her off at daycare on the way to his office. Tragically, he returned to work after the appointment and forgot his daughter was sleeping in the car. Reginald had to wrestle with how he could have possibly forgotten his daughter, a reality dozens of families reckon with each year. The sad truth is that this can happen to people of all backgrounds, no matter how attentive and loving they are as parents. A new report from the National Safety Council sheds light on how these deaths can happen and what we can do to stop them. In some cases, especially when we are particularly busy, tired or out of our daily routine, our minds can simply shift into autopilot and go about our regular schedule. This can result in a parent forgetting their child in the car, but it isn’t the only explanation. Too often, parents or caregivers purposely leave a child in a vehicle, wrongfully assuming it is safe to do so for a short amount of time. In still other cases, children gain access to a vehicle on their own, suffering heatstroke. On average, the temperature inside a vehicle rises by 19 degrees in only 10 minutes and a child can die once his or her core body temperature reaches 107 degrees F.
For parents and caregivers, it is crucial to make a habit out of looking in the rear seat before leaving your vehicle and creating reminders so that you don’t forget your child. Place your phone, your purse or even your left shoe in the back with them – anything that will remind you to open the rear door and check. We also need to always keep our vehicles locked so that children cannot access them on their own. These steps can help prevent these deaths, but we must also raise awareness of the risks of vehicular heatstroke. Too few of us understand that it is never okay to leave your child alone in the car, not even for a minute. There are no safe time periods and there are no exceptions. 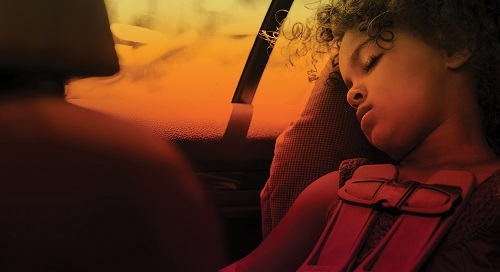 Only 21 states have laws to protect children from being left unattended in cars, but heatstroke can happen in any state during any month of the year, even when the outside temperature is as low as 57 degrees F.
One death is too many. There have already been more than a dozen this year, and it’s not even the end of June. Take action now to protect your child, educate others and advocate for better laws to keep our children safe. Amy Artuso is a senior program manager in Advocacy with the National Safety Council. For more than 20 years, she has dedicated her career to supporting the health and wellness of children. In her role at NSC, Ms. Artuso serves as a subject matter expert and manages federally funded programs supporting the safety of children in and around vehicles. She is a nationally certified child passenger safety technician instructor, and is a past-chairperson of the National Child Passenger Safety Board.